Tomato with sprouts. Photo credit: Mary Salinas, UF/IFAS Extension. 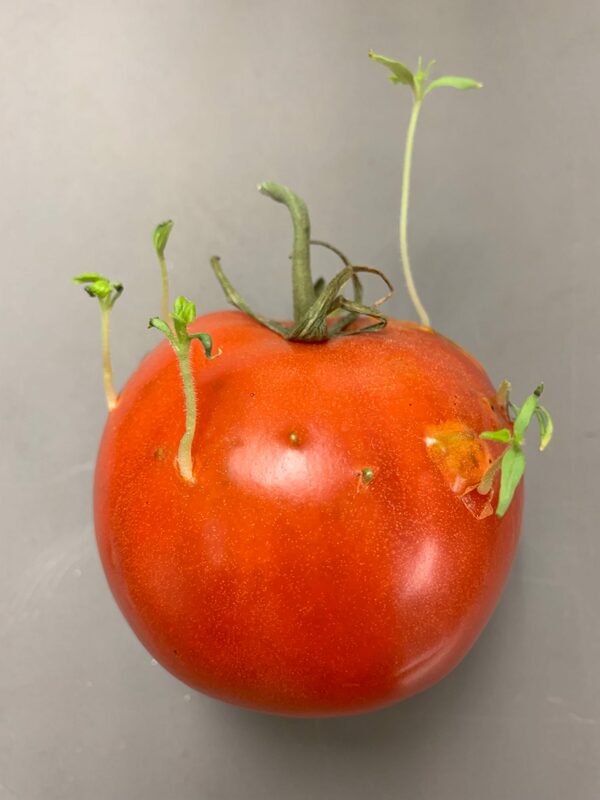 What in the world is happening to the tomato in this photograph? Are those hostile parasitic plants taking over the tomato? No, nothing so sinister. 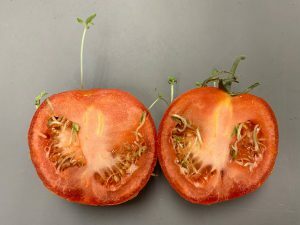 You are just seeing anxious new tomato plants sprouting from the seeds inside the tomato. A naturally-occurring plant hormone normally prevents seed inside of fruit from sprouting too soon. 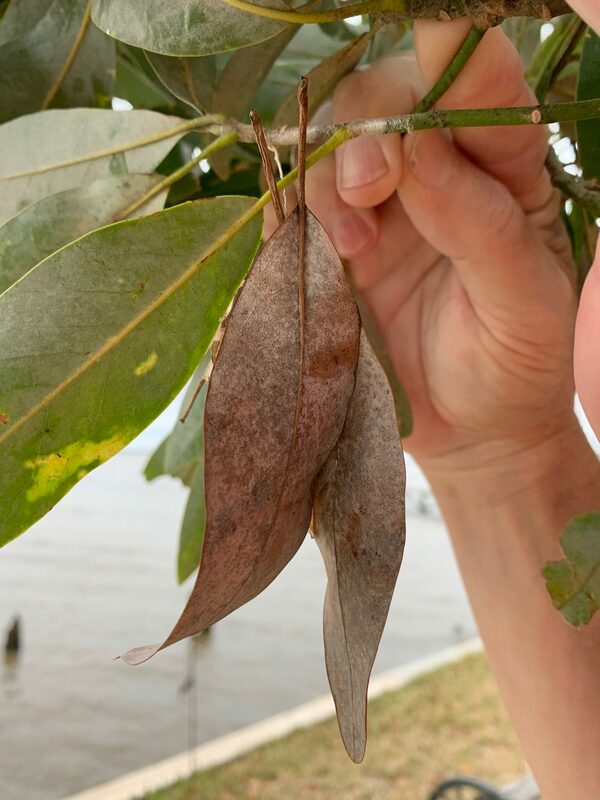 But sometimes the piece of fruit is hanging around a bit longer than nature planned and the hormone that prevents the seed sprouting is depleted. So, the seeds start to sprout and look like squiggly white worms inside the tomato. 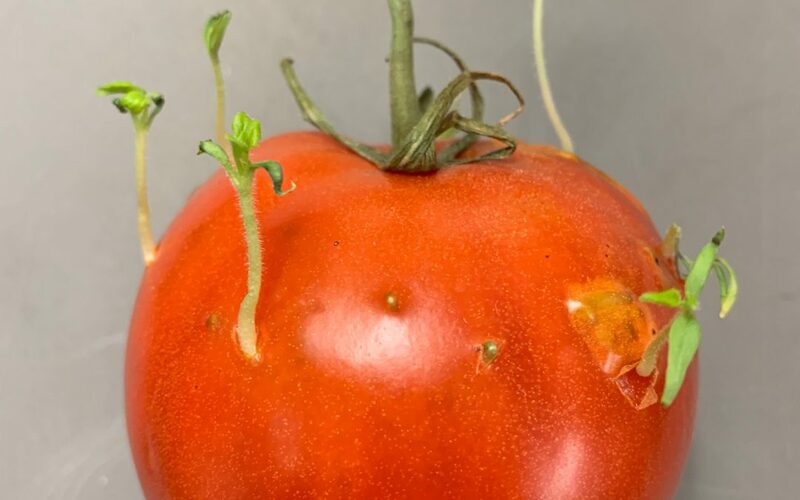 With enough time, they pop through the skin and emerge as little tomato plants. Halved tomato with interior sprouts. Photo credit: Mary Salinas, UF/IFAS Extension. This phenomenon also commonly happens in pepper, citrus, apple, jackfruit, avocado and pear. Yes, you can separate the little plants and plant them on their own if you would like. When there is so much to do in cleaning up after a storm, sometimes we tend to do too much so that it can all get done. Be safe, don’t add to the disaster. 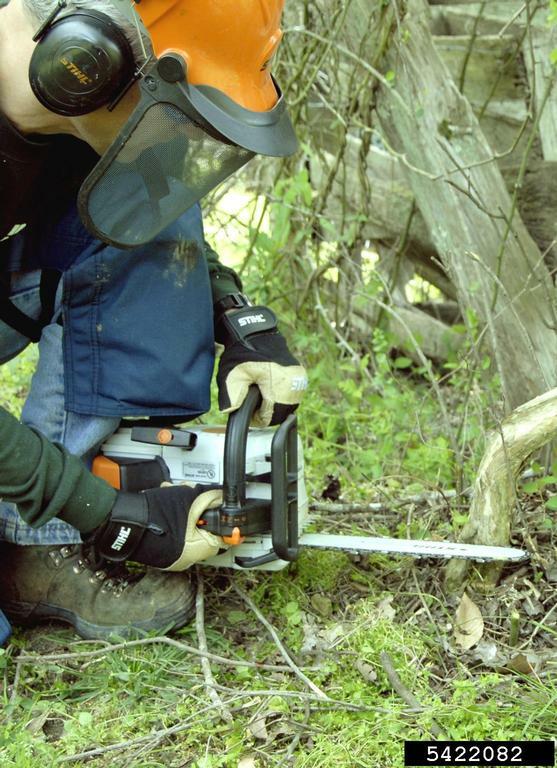 Be careful with that chainsaw! 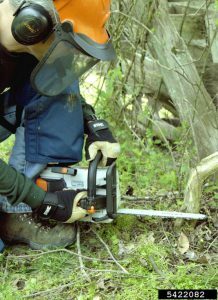 Photo credit: James H. Miller, USDA Forest Service, Bugwood.org. Take breaks and rest often. Mistakes happen when people are exhausted. Only lift what you can comfortably handle, lifting with your legs and not your back. Get a buddy to help with heavier objects or wait until a team or equipment can assist. Make sure you are adequately hydrated. Always keep water nearby and take a long drink during your breaks. 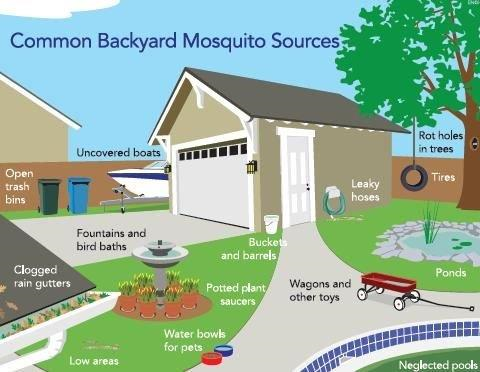 Protect yourself against biting pests such as mosquitoes with insect repellent. Wear protective gloves, sturdy closed toe shoes and long pants. Have a first-aid kit available for minor injuries. Make sure ladders are stable and locked into position. 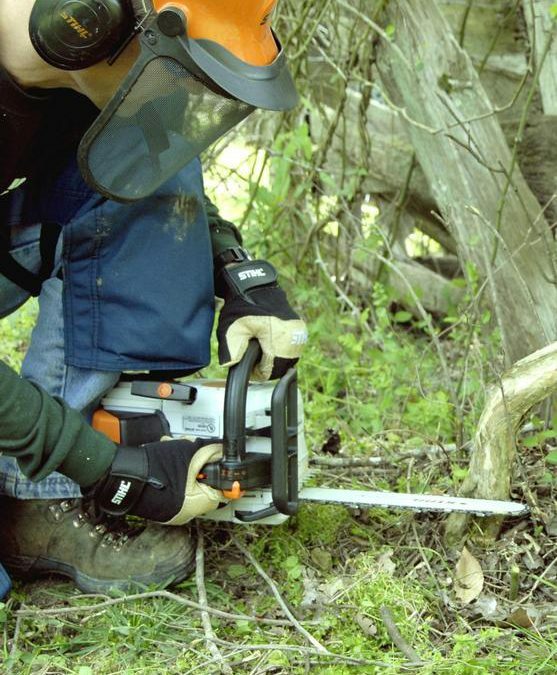 If you are using any type of power equipment, especially a chainsaw, make sure someone else is around. And protective gear is a must. Read about details in this article. Versatile, easy-care, beautiful, native – what’s not to love about muhly grass? How is it versatile? It makes a perfect border along a fence or structure. Plant it in a single or double row depending on available space. Use a single plant as a specimen in a smaller landscape. Muhly grass can also be planted in mass to serve as groundcover in a larger landscape. What makes it easy-care? Since it only grows into a 3-foot-tall mound, there is no need to continually prune it as you would have to do for many landscape shrubs that serve a similar function. Plant muhly grass in areas where you only want to have plants grow to a 3-foot height, such as under windows or along a short fence. This clumping grass can be pruned in late winter to remove dead leaf blades, but it is not necessary. There are few pest and disease issues and its’ fertility needs are low. 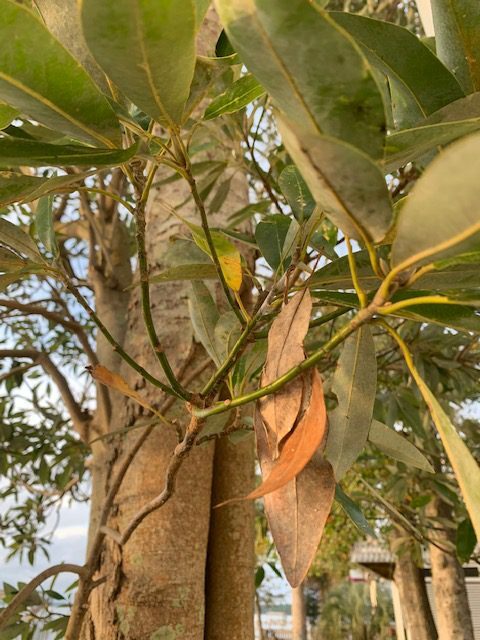 This tough plant can handle both drought and inundation with water. Perfect for a rain garden! Flowering is best in full sun, but it can take part sun as well. What’s so beautiful about a grass? In the fall, abundant pink to pinkish/purple blooms cover the canopy of the grass and add color to the fall landscape. The wispy blooms move with the breezes and add interest with their movement. The new cultivar ‘Fast Forward’ blooms as early as August and into the winter. If pink is not your color, there is a form with white blooms known as ‘White Cloud’. 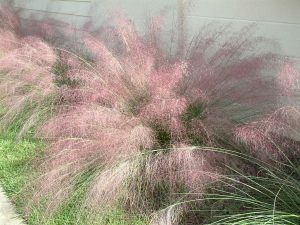 Consider adding some muhly grass to your landscape. You will love it as I do.